Another day, another case of a bank redlining borrowers. 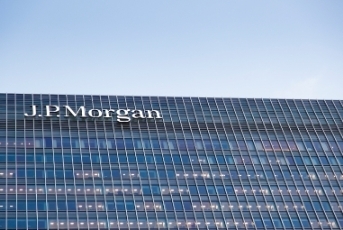 This time, it’s JPMorgan Chase, agreeing to pay a $55 million penalty to settle allegations that it discriminated against black and Hispanic mortgage borrowers between 2006 to 2009. A government lawsuit filed in New York Wednesday alleged that independent brokers of the bank charged higher mortgage rates and fees to minority borrowers versus “similarly situated white borrowers,” according to a USA Today report. U.S. Attorney Preet Bharara of the Southern District of New York filed the lawsuit, claiming the average black or Hispanic homebuyer was charged around $1,000 more than white borrowers with the same risk profile. Attorneys for the bank denied the allegations through a response in court. The government accused the bank of allowing its independent mortgage brokers to arrange prices based on factors that had nothing to do with borrower risk. Brokers were allowed to do this “without documentation or justification,” according to USA Today. The lawsuit also accused Chase of giving its brokers rewards for charging higher interest rates. On an average loan of $236,800, the average Hispanic borrower had to pay $968 more than the average white borrower over the first five years of the loan, according to the lawsuit. The average black borrower was charged $1,126 more over five years on an average loan of $191,000.